Cal Interpreting & Translations is a professional established interpreting and translation service headquartered in Los Angeles, California. We provide certified translation, proofreading, multilingual transcription and interpreting services in California and throughout the United States. Years of experience with a knowledgeable and friendly staff enable us to provide certified & legal translation services which have made us in to one of the most well-established translation services in Los Angeles, throughout California and the United States. As a proven California translation agency, we recognize that in today’s multicultural world, language barriers have many implications. 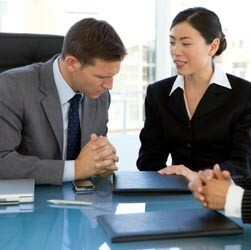 Our experienced and certified interpreters appreciate the cultural context of the translation services they provide. Therefore, our linguists have a strong command of both language combinations and a full appreciation of the cultural contexts for each language. Moreover, all of our court certified interpreters and translators strictly adhere to the code of ethics, and provide uncompromising commitment to impartiality, confidentiality, and professionalism. Document translation services for the legal, medical, entertainment, education, government and travel industries. Trust your document translation needs with our professional team of translators to produce high-quality, written translations in a timely, cost-effective manner. 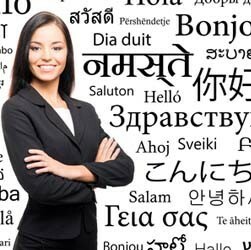 Contracts, manuals, brochures, transcriptions, advertising material and court documents are just a few examples of the document translation services we offer in over 200 International Languages. Our friendly, knowledgeable and well-trained staff utilize cutting-edge, tailor-made technology that enables us to provide you with efficient, flexible, and top-quality language services. Our commitment to excellence and customer satisfaction is what distinguished us from competitor translation agencies as we understand the importance of providing an exceptional translation services at the most competitive prices. In providing the top quality translation services, we understand the need to be flexible. Each client is unique and is treated accordingly. We take the time to understand our clients’ specific needs and provide tailored services to meet their requirements.As an interpreting agency, we believe it to be our obligation to be available, and we will not pass the cost to our clients. Our translation services are not only of the highest quality, but they are the most reasonably priced. "Thank you for always being able to handle emergency interpreting assignments with ease." "We appreciate the degree to which you maintain your professionalism." "Your translation rates are more competitive than other language service providers I used in the past."